Just because you take a couple vacation days off work doesn’t mean the holidays aren’t still stressful. 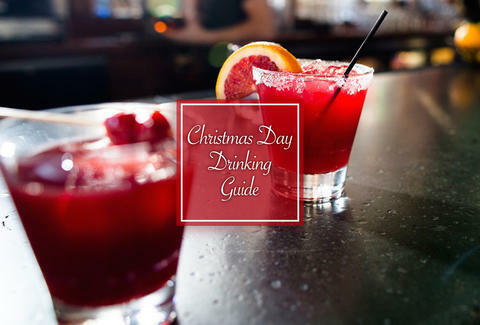 With all the visiting family and potential for related drama, you’ll probably need to get away from it all and grab a drink. 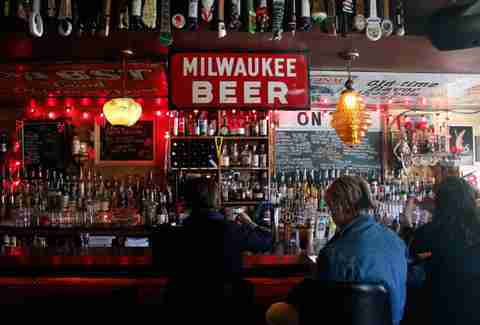 When that moment final arrives, head to one of these 13 Milwaukee bars for some much needed R&R away from your ever-prying Aunt Edna. In case you just can’t spend Christmas night without your puppy, you can bring him with you to Art Bar. Opens at 7pm. 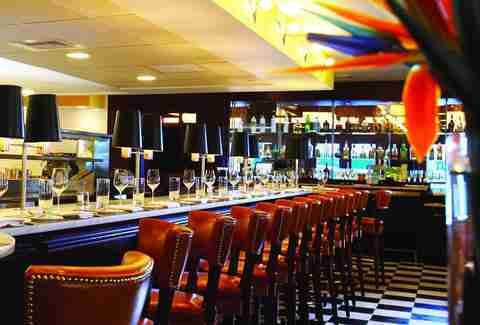 You don’t have to be a hipster to enjoy this bar, but it helps. Craft brews make an excellent Christmas treat. Opens at 6pm. The casino is open 24/7, and Christmas is no exception. The Fire Pit sports bar is open all day and night, Bar 360 on the casino floor opens at 10am, and the bars at their various restaurants all open by 5pm. 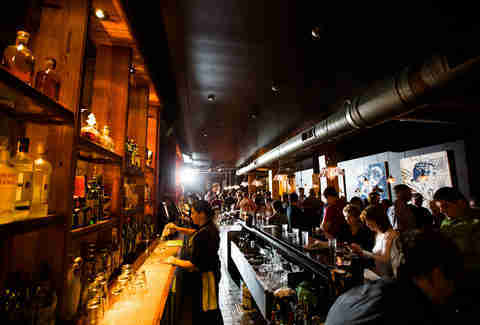 Wisconsin’s longest-running gay bar is sure to be filled with Xmas cheer. Three-for-one taps and rails doesn’t hurt either! Opens at 3pm. This quintessential neighborhood watering hole is there for you when you need it most: immediately after watching your bratty little nephews rip open their presents. Opens at 11:30am. If your visiting in-laws think the corner tavern looks to “divey,” head to MSG’s lounge and grab a seat in front of the fireplace. It's also cooking Christmas dinner if you don’t want to. Opens at 1pm. If there is some kind of sporting event going on Xmas night, this sports bar will probably have it on. Opens at 5pm. If you feel at all bad for skipping church on Christmas, Hotel Foster feels just churchy enough so you can tell grandma you went and not be totally lying. Opens by 9pm. A no-nonsense kind of pub on the south side with lots of Wisconsin brews on tap. Opens at 2pm. What could be better than a classic brandy Alexander or eggnog on Christmas night? Opens at 7pm. 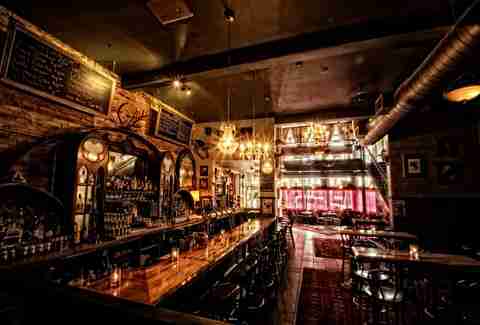 Bars in hotels are safe bets for being open on holidays, and the bar inside The Iron Horse Hotel is definitely one of the best hotel bars around. Opens at 11am. A little kitschy, a little divey, and a whole ton of fun. Take some holiday pics in the photo booth (if it’s actually working). Opens at 8pm. 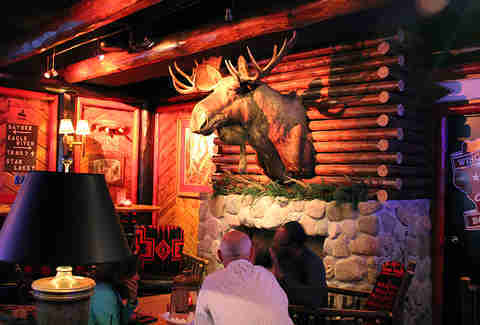 What could be better than Christmas Up North, complete with giant moose head and fireplace? Opens at 7pm. Lacey Muszynski is a Milwaukee writer who has no idea what she'll be doing on Xmas night because she doesn't plan ahead that far. Follow her on Twitter @worthhersalt.